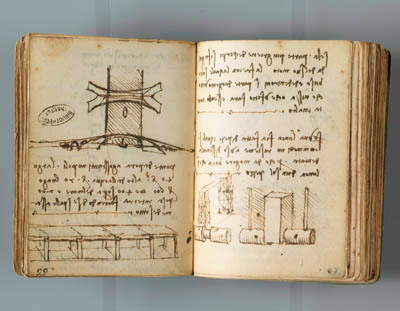 At the beginning of the 16th century Michelangelo – he confided, much later, to his pupil Ascanio Condivi – was invited by the Turkish rulers of Constantinople to go to this fabled city of the eastern Mediterranean and build a bridge. But Michelangelo refused to go to Istanbul, as it is called today, because it would betray his Christian faith. His rival Leonardo da Vinci was seemingly more tempted. He appears to have been consulted about the bridge project by the same Turkish emissaries who later approached Michelangelo. Designs for the bridge survive in his notebooks and a document in the archives in Istanbul shows him invoking Allah and offering to work for the sultan. Other notes exist that depict him dreaming of the east. But still, he never appears to have gone to Istanbul or anywhere else east of Rimini. The relationship between the Italian Renaissance and the world of Islam is fascinating. Many believe the Renaissance was begun by encounters between eastern and western learning when Greek scholars fled the Turkish conquest of Constantinople in 1453.